I have an unrelated medical condition that means that I can’t take a lot of the medications that are available for depression. My depression had become very severe, and I was feeling exhausted and hopeless after trying many new medications, with a variety of unpleasant side effects, but no real improvement. 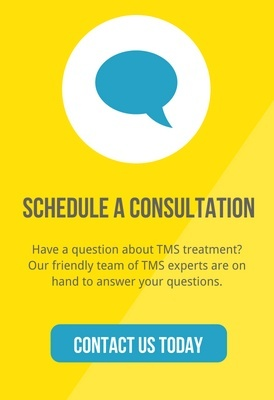 When my psychiatrist recommended TMS, I was initially very skeptical, but I did some research and what I found seemed like TMS might actually be promising, so I decided to give it a try. Within the first week, my depression went from crushing and overwhelming to something that I felt like I might just be able to handle. While that might not seem like much, it was a huge and remarkable improvement, from my perspective. Throughout the process, the symptoms of my depression have improved dramatically. I’ve gone from consistently feeling like nothing in my life could make me happy to feeling healthy and normal, and I’ve started to make a number of positive changes in my life as a result. Ryann, the TMS technician I’ve worked with over the course of my treatment, has been knowledgeable, helpful, accommodating, and friendly in literally every interaction I’ve had with her. She’s genuinely interested in helping the patients she works with, and it shows. The long and the short of it is this: I’d recommend Achieve TMS to anyone who struggles with depression, without hesitation.